In April this year, I visited Chennai for work. 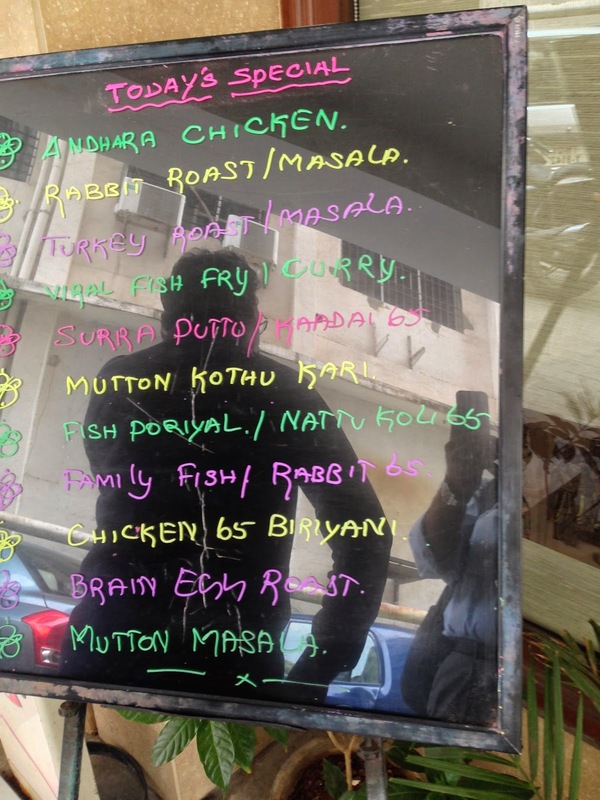 A colleague, who is a extreme foodie like me, suggested we head to Ajappar at Nungambakkam for some Chettinad exotica! They are not vegetarians (at least not the majority) and they are into the exotic stuff - rabbit, duck, quail, partridge and what what not, unlike us Punjabis, for whom Tandoori Chicken and Butter Chicken is the be-all and end-all, the holy grail of anything non-vegetarian! 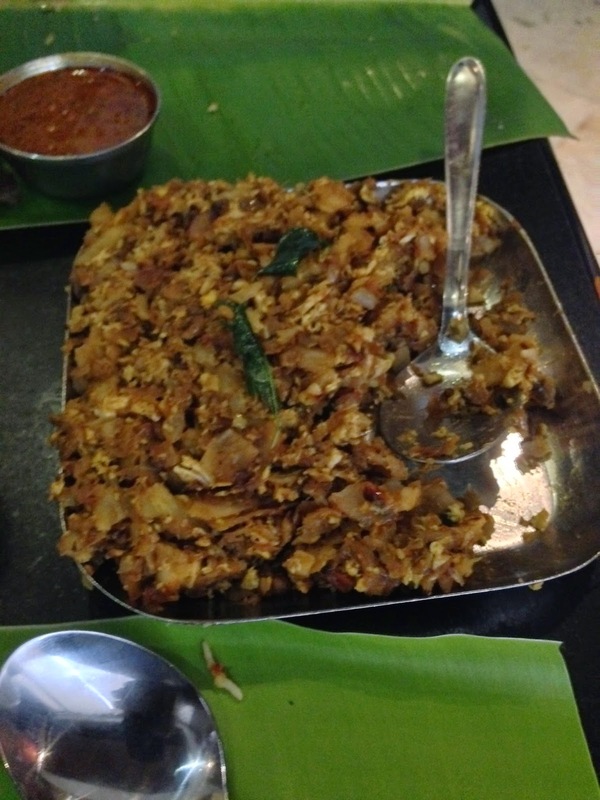 Ahhh lovely and easily the best comfort food - Kothu Parotta. I can't forget the last time I had this at Madurai! It was unbelievably great! A second helping of egg biryani and burped our way out!!!! !